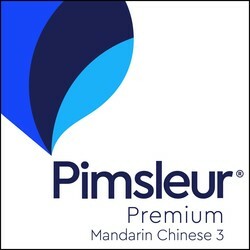 Chinese (Mandarin) Level 3 (30, 30-min. daily lessons + Reading Lessons) Mobile app with interactive learning and review tools teaches speaking, understanding, and reading. Modified version available for desktop. In Level 3, you'll continue to practice reading Hanyu Pinyin (pinyin for short) the official phonetic system for transcribing pronunciations of Chinese characters into a Latin alphabet. Reading lessons are included and will build upon the language skills acquired in Levels 1 and 2. These lessons are designed to give you practice reading and to provide new vocabulary.